[toc]Morning sickness, in general occurs during early stages of pregnancy. It is common among all pregnant women and it is characterized by vomiting. This vomiting sensation is generally high during morning and it may subside after some time. In some women, this may continue all day long, causing uneasiness and inability to consume food. It is caused due to increase in hormone levels and there is nothing much to worry about. But, for working women, this may really cause hindrance to carry out normal activities. You can treat it with easily available natural products and do not have to worry about any side effects. Ginger is one of the best remedies for morning sickness. Though, this sickness may occur any time of the day, you can take up ginger in the morning and it will help you all through the day. The smell of ginger itself will be refreshing. You can consume it in the form of liquid by mixing it in water. You can make ginger into a fine paste and mix it up with water before consumption. Gingerol, present in ginger can relax the intestinal muscles and gives your relief from nausea. It is also common during pregnancy, that different smell may cause the sense of vomiting. 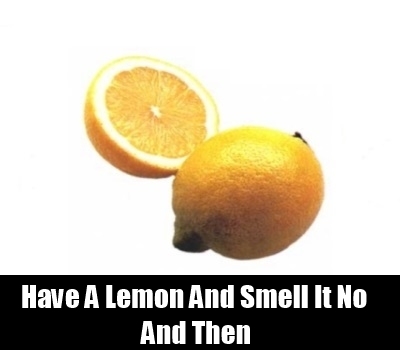 So, to avoid that, you can have a lemon and you can smell it now and then. This will help you out from the sensation of nausea, caused by other smells. You can also make use of other citrus fruits with strong smell. This is a very effective cure and helps especially during travel. If you keep yourself hydrated, that will help a lot in fighting from morning sickness. 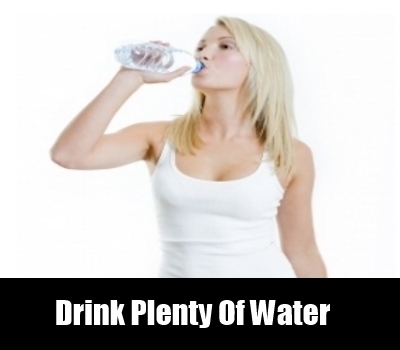 It is not necessary that you have to drink liters of water, it is impossible to do too. You can also take fruit juices, in some specific time intervals. You can also consume fruits and vegetables that are rich in water content. Full stomach with no proper digestion, or empty stomach, both of these can cause nausea too. So, you should neither eat fully nor leave your stomach empty. 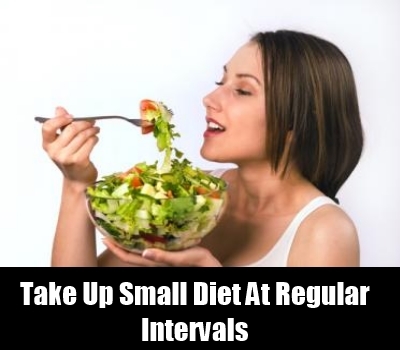 For this, you have to take up small diet at regular intervals. This will enhance digestion and prevents nausea. In the same way, never leave the stomach empty; keep munching something for every few hours. Also, make sure that whatever you in take are healthy for you and the baby too. 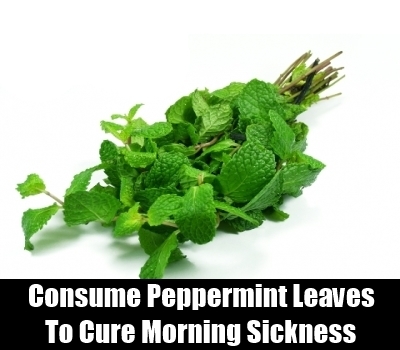 The strong smell of peppermint leaves also helps in curing morning sickness. You will definitely feel comfortable after consuming it. You can make hot or cold tea using these leaves and consume it in the morning. It not only helps in easing the symptoms of nausea but also refreshes you for the day. Pregnancy period may bring about several changes in your physiological conditions. But all these have to be tackled carefully, taking into consideration, both your health and that of your child’s. Also, avoid medications that may cause side effect.